The Navy’s famed Blue Angels aerial demonstration squad has canceled the rest of its 2013 performances, including dates this fall in San Diego, Ventura and San Francisco, Navy officials announced Tuesday. The move was caused by the automatic budget cuts known as sequestration, officials said. “This is one of many steps the Navy is taking to ensure resources are in place to support forces operating forward now and those training to relieve them,” the Navy said in an official statement. The Blue Angels spent the winter training at a Navy facility in El Centro, Calif., and had recently returned to the squad’s home station in Pensacola, Fla. The squad had scheduled 33 performances remaining for this year. Some had already been canceled because the air shows in which the Blue Angels were to fly had been canceled. Among the Blue Angels performances canceled were those at the Naval Base Ventura County Air Show on Sept. 28-29, the Marine Corps Air Station Air Show in San Diego on Oct. 5-6, and San Francisco Fleet Week on Oct. 12-13. 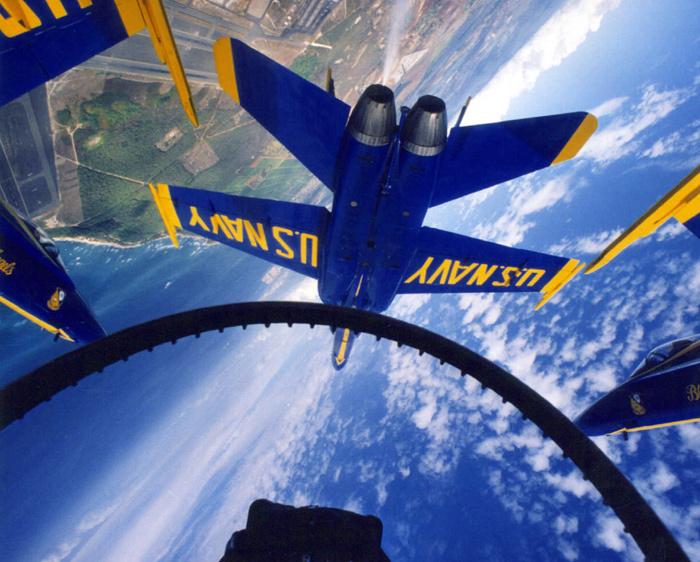 Even without the Blue Angels, the three California events are still scheduled. “The Navy intends to continue aerial demonstrations in the future as the budget situation permits,” the statement said.